Boston Handmade: Consider doing a Trade Show! Consider doing a Trade Show! 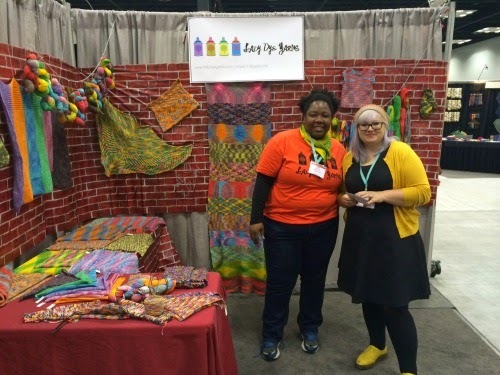 Back in May of this year, my company, Lady Dye Yarns attended our first trade show. It was an incredible experience to showcase my yarn on the national stage and to meet so many leading manufactures in the textile business. Now that the trade show is over with, I went from being in 2 stores to now being in 20 stores! Find new distributors for my raw materials. Understanding the trends happening in the textile community. I was able to meet dozens of knitwear designers from around the world who I have reached out to create knitwear designs for Lady Dye Yarns. I was also able to talk with people about how to successful operate my business. I learned many things through this trade show. Had I not taken the risk to go, I am not sure where my business would be today. If you are in the crafting world and are thinking about expanding your business, I highly recommend finding a trade show in your craft to attend. 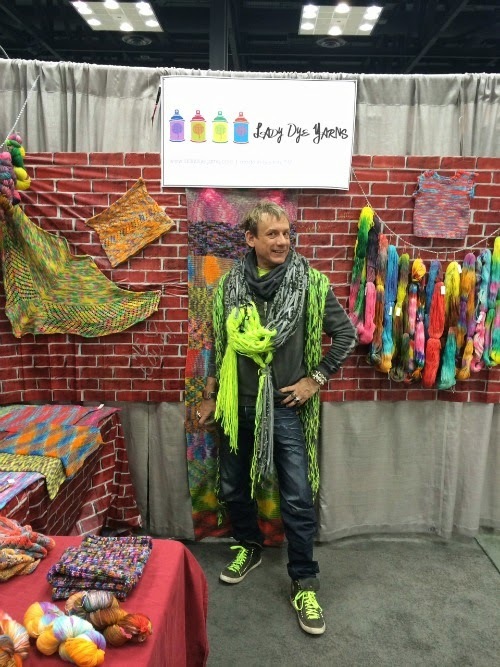 The great knitwear designer Steve Berg who purchased yarn from Lady Dye Yarns!